Our circumstances—where we’re born, our family’s history, our economic status—play an outsized role in shaping our identity in the world. For Rachel Muir, those circumstances weren’t the ones that usually lead to higher education. Rachel grew up in foster care and was adopted at 15 by a couple in her community whose primary source of income was delivering groceries for the local supermarket. “I was poor and no one I knew went to college,” Rachel said. Expectations weren’t high. Her school, Schenectady High School, graduates between 60 to 65 percent of students each year. Of those who do graduate, 75 percent work at low skill jobs or remain unemployed. When asked about future plans, very few students consider further schooling. The idea of attending college feels frivolous and easily dismissed. However, Rachel was an advanced high school student who excelled in her AP courses. As a freshman, her physics teacher recommended her for Dartmouth College’s Summer Enrichment at Dartmouth (SEAD) program. The program allowed Rachel to confront her status as a low-income, first-generation student, providing the background that other students might take for granted—courses on identity and social justice, coaching on college admissions processes and financial aid, and connections with other students from similar backgrounds. The SEAD experience gave Rachel confidence to apply to challenging schools. Rachel realized she had been given insight and opportunity that very few people from her background would receive. When she started her first semester at Dartmouth College, Rachel elected to study math. Math was practical. Math was easier to explain to skeptical peers. A career in advocacy seemed elusive for someone from Schenectady—even to Rachel, who had already demonstrated enough talent and determination to make it to the Ivy League. While Rachel was taking strides to pursue her dreams, she knew studying math would never fulfill her in the way that advocating for justice would. Rachel decided to take a gap semester to reevaluate and become more confident in her aspirations. She moved to Illinois and started working as an Outreach Coordinator for the United Pride center. Rachel found out about the Dream Award from a previous recipient who posted it on Facebook. She applied with another friend from Dartmouth. When she learned she was a 2018 Dream Award recipient, she was extremely happy, but was even more relieved to find out her friend Yifan He received a Dream Award as well. The Dream Award made it possible for Rachel to transfer into her dream program at Northwestern University’s School of Education and Social Policy. 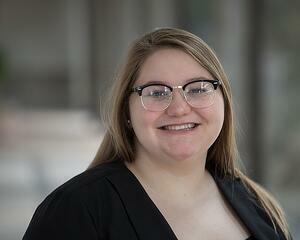 She hopes one day to advocate for college access and equitable housing policies.